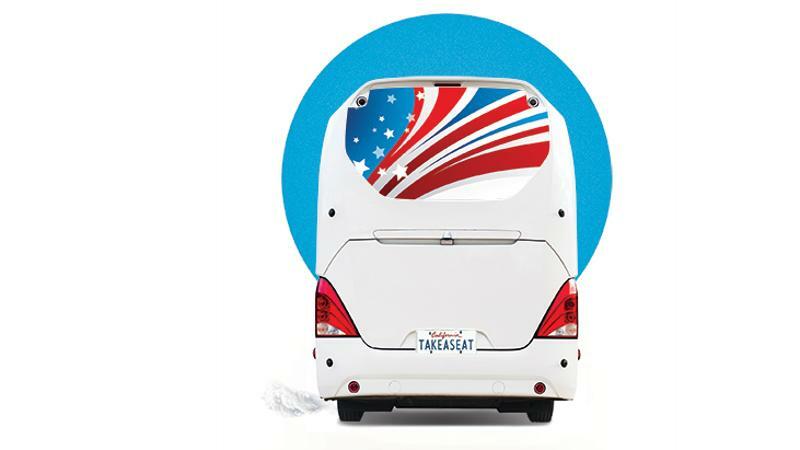 The campaign buses were still punching “Iowa” into the navigation system when developments dragged restaurateurs off the sidelines of the 2016 presidential election. Eighteen months out, operators might as well be the ones kissing babies and angling for an appearance on Jon Stewart’s show. There’s almost as much at stake for them as there is for the actual Oval Office aspirants. Consider that mandatory paid leave arose as an issue on the very day Hillary Clinton announced her candidacy. Pundits say she is likely to make family benefits the cornerstone of her campaign, which means we may hear proposals from her camp for employer-funded perks such as day-care assistance. Hours after Marco Rubio declared his entry, an advocacy group immediately demanded that the young senator from Florida film a video detailing where he stands on food and hunger issues. America’s eating habits could become a matter ping-ponged back and forth in presidential debates. Before entering the race, Ted Cruz returned from orbit long enough to undercut his credibility as a fire-and-brimstone evangelist against the Affordable Care Act. He, after all, is a recognized ACA beneficiary now. Meanwhile, Iowa’s inability to fund routine checks of restaurants’ food-safety standards went largely unnoticed until the news media mentioned the potential risk to the politicos who descend on the state prior to the presidential caucuses. Suddenly, it’s a big issue. In reality, every presidential election is crucial to the business community. Try and dispute it the next time you’re confronted with the responsibilities of the Obamacare. But the impact likely will be amplified for restaurants this time around because conditions are so trying already. A bad outcome would be like putting a 90-year-old on roller blades. The job of running successful restaurants has become far more difficult because a changing environment is adding crucial new responsibilities. In addition to functioning as a marketer, kitchen master, talent scout, public-relations wizard and complaint department, an operator has to have expertise in new areas such as technology. Now add “political activist” to the job description. It’s unfortunate, but it’s a reality. We urge you, in the strongest terms, to understand where the aspirants to the White House stand on issues crucial to you and to act on them. And don’t let anyone else tell you who to oppose or support. It’s no longer as simple as paying homage to the pro-business Republicans and buying voodoo dolls of the Democrats. Consider the candidates, not the party, and who will have the most beneficial impact to your livelihood and life.